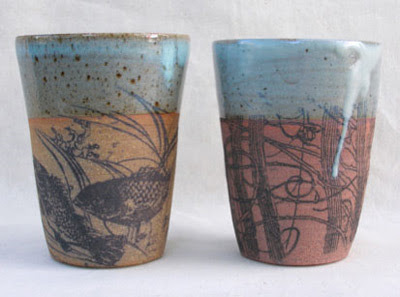 I bought a gorgeous pottery beaker/vase with a crackle glaze interior at Biome last year and have been trying to find out more about the artist, Lucy Vanstone since then. I even visited Lucy's Wheel Of Life studio in Brunswick Heads, NSW, but alas it was closed on the day of my visit. 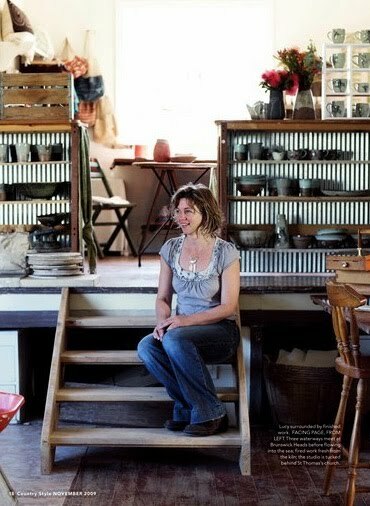 Luckily, the fabulous Shannon Fricke styled Lucy's work in a November 2009 Country Style magazine article, and I was able to find out all about the artist and her work. It's a lovely read, especially the story about the salad bowl that Lucy nonchalantly uses worth 10,000 pounds (and made by relative of the family, British potter Michael Cardew). 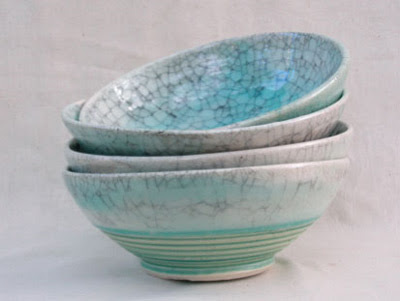 Lucy's range of pottery and fine art ceramics includes bowls, cups, mugs, pots, jewellery and sculuptural pieces. I adore crackle glazed pieces and all the screenprinted fish, reeds, fairies and pixies designs. I'm sure that Lucy's work will soon be as collectible as her famous relative's. 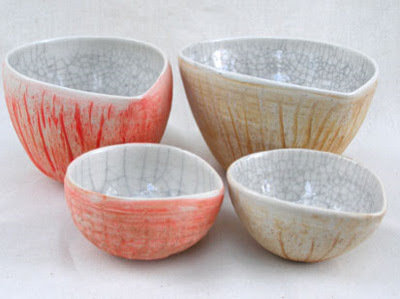 You can find Lucy Vanstone ceramics on her website (where you can order pieces from Lucy directly) as well as at various markets and stockists, also mentioned on her website.